Orchis mascula has a strong stem rising above a group of 4 to 8 light-green foliage leaves which can be spotted or unspotted. The stem is purplish coloured in its upper part. The inflorescence has 10 to 50 flowers with a flimsy bract as long as the ovary. The middle sepalum and the petals form a hood, the lateral sepals are directed upwards. 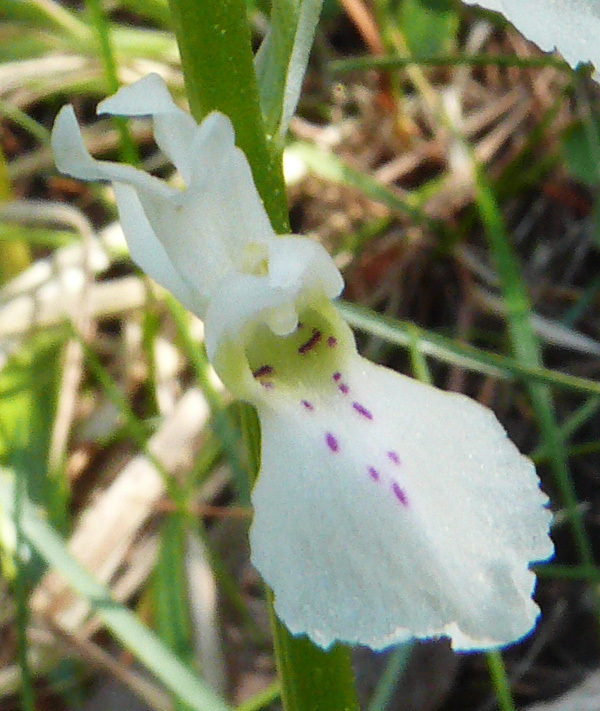 The labellum is three-lobed, the lighter middle lobe is marked by small spots. The spur is a bit longer than the ovary and directed upwards. The plant can grow to a height of up to 80 cm. Linné first named the plant as Orchis morio var. mascula in his opus Species plantarum (1753), but two years later he corrected himself in his opus Flora Svecica (1755) and described it as Orchis mascula. The flowers of Orchis mascula are mostly purple. There are colour variants with rose flowers. The statements about the frequency of white flowering plants differ. 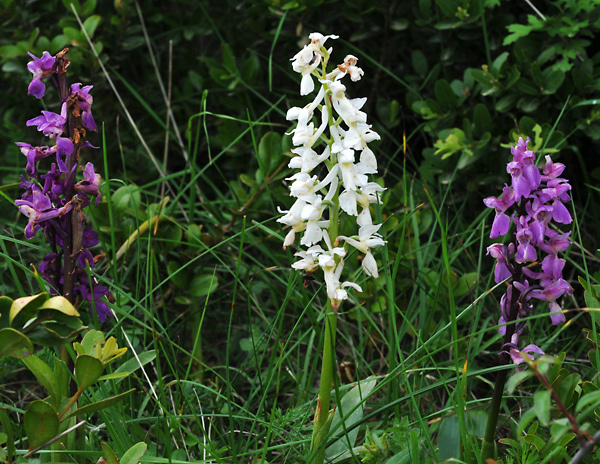 H.Kretzschmar/W.Eccarius/H.Dietrich (Die Orchideengattungen Anacamptis, Orchis, Neotinea. Bürgel 2007. S.301) are declaring: “White exemplars are not rare. 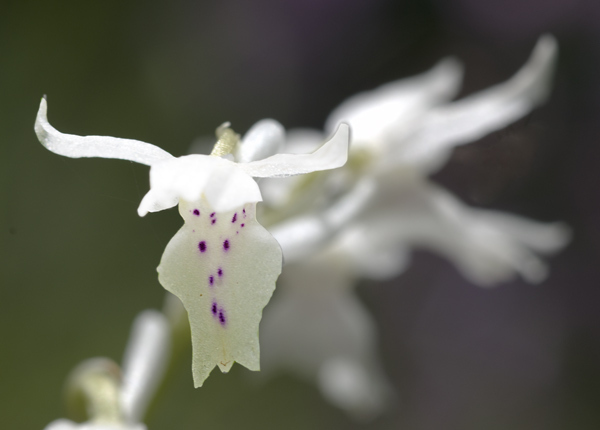 They can be found in almost all bigger populations.” But P. Delforge (Guide des orchidées d’Europe, 2005) writes that Orchis mascula has only a limited variety and notes that white flowers are “very rare”. I estimate that the “albiflora” forms have a ratio of roughly 3/1000 – not so often as with Anacamptis morio, but more common than with Orchis militaris. 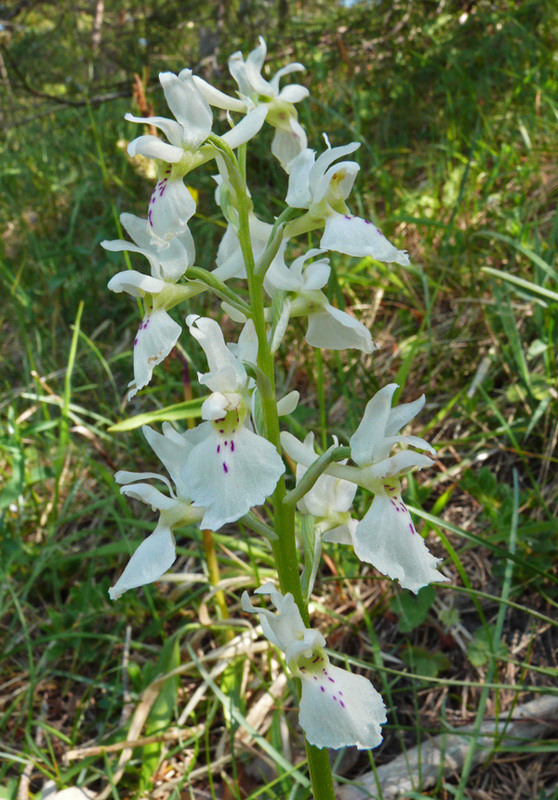 Orchis mascula is growing in clear forests or on meadows and pastures, up to 3000 m. Bloom is from April to June. The distribution of Orchis mascula covers almost the whole of Europe.